Flexi-Flange | Essential Dental Systems, Inc.
Surgically sharp threads, coupled with the second tier and split shank, provide maximum retention with no more stress than a passive post. Flexi-Flange incorporates a scientifically designed and proven flange that countersinks into a tooth structure, for maximum dentin-to-metal contact. 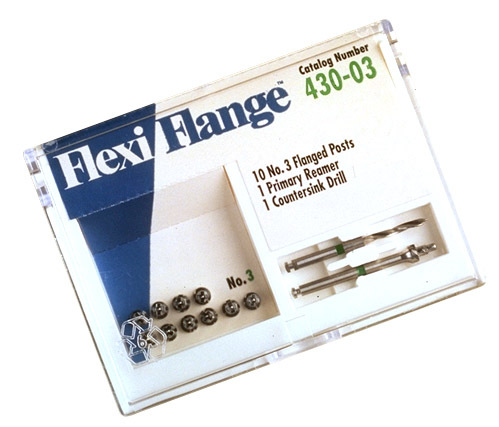 Flexi-Flange is available in Intro kits and Refill kits.